Difference between revisions of "Patricia Anne de Hilster"
In 2004 upon retiring, the couple moved to Long Beach California to be close to David and his Family. There, she stared in the feature-length documentary film “Einstein Wrong – The Miracle Year” produced and directed by son David de Hilster and traveled around the country meeting scientists. During the filming, her granddaughter Luanda was born and Patricia spent much of her time doting on her grandchild. Patricia also could be found helping out in the local Brazilian community with son David and Brazilian daughter-in-law Doris where she made life-long friends. In 2014, she moved with husband Robert following David’s family including her granddaughter Luanda to Boca Raton Florida where life was much more calm, green, and peaceful compared to the hustle and bustle of Los Angeles. Patricia Anne de Hilster was a supporter of critical thinkers and scientists who worked outside the mainstream and is best known for her staring role in the feature-length documentary "Einstein Wrong - The Miracle Year". She also helped at NPA and later CNPS conferences often hosted by her son David de Hilster and attended by her husband Robert de Hilster. Patricia was born Patricia Anne Darby in Wyandotte Michigan in 1936. Patricia married her high school sweetheart Robert de Hilster and had her first child David in 1959 at the University of Michigan where her husband was attending. They moved around the country in the early 1960s, finally settling down in Ohio during the 1960s to the 1980s. In 1966, the couple adopted two little girls, Karan and Laurie and the family moved to Worthington Ohio in 1970. There Pat gave birth to another boy Michael in 1974. 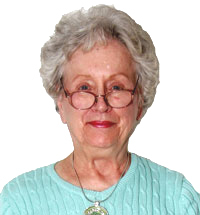 During these years, Patricia often worked in her church community. After their first three children left, Pat, Michael, and Robert moved to Huntsville Alabama where Patricia volunteered at church and at the local schools working with troubled children. She really loved to work with kids. Although Patricia was diagnosed with rheumatoid arthritis at age 30 which crippled many of her joints and limited her movement, Pat always had a smile on her face and love in her heart. She never complained even when she was diagnosed with cancer. She was always happy and full of boundless energy and as son Mike put it: “…was a tank in human form” always moving forward despite a life of pain. Patricia de Hilster is survived by her husband Robert, her children David, Karan, Laurie, and Michael, six grandchildren and six great-grandchildren.